Do you have the raw background for this? 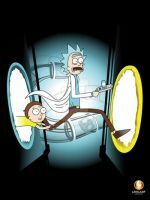 I'd like a version where rick and morty are off to the right instead of centered. Let me know, thanks! Was just wondering, What art style is this considered? I love your works man. Keep 'em up! Just yesterday I was thinking how cool would it be, if you made a video about Rick and Morty. Well, that is indeed a pleasant surprise! Jess Lemminoooo (brebb)... this took you some time to get made. Thank you! I didn't know about this info about the show. Good job man!